© Stuart Isett for The New York Times A beach on Gabriola Island, in British Colombia, where foot No. 14 was discovered. The mystery has haunted Canadians for more than a decade: One by one, human feet clad in running shoes have floated ashore on British Columbia’s southern coast with gruesome regularity. Last weekend, foot No. 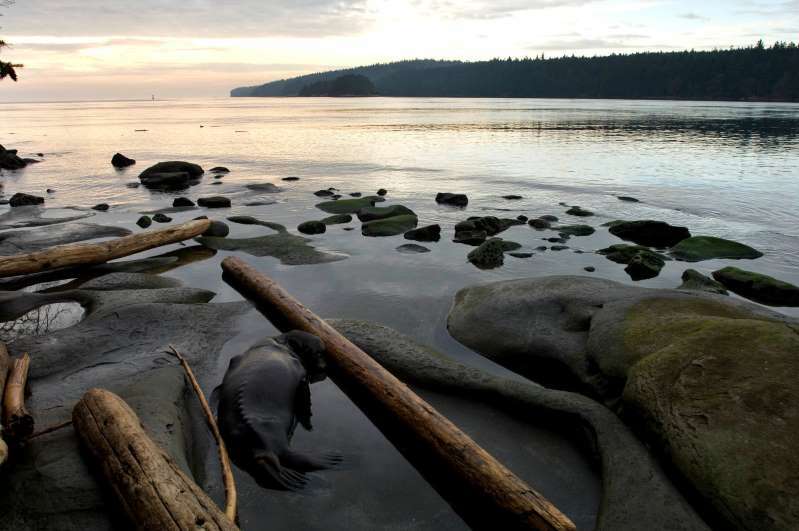 14 was discovered by a man strolling on a beach on Gabriola Island, a sleepy and picturesque enclave, population 4,000, that is known for its captivating sandstone and close-knit artistic community. This time, the foot, squeezed between a pile of logs, wore what appeared to be a hiking boot, according to the Royal Canadian Mounted Police. The 13 feet found previously along the coast since 2007 were in running shoes — Adidas, Reebok and other brands. Each time, the questions arose: Why are the feet ending up in Canada? Where did they come from? And where are the other parts? The discoveries have fanned speculation, rational or not, that the unattached feet could be the work of a tsunami, a human trafficker, a Mafia hit man, a deranged foot fetishist or a serial killer who had spread body parts out to sea. Others have theorized that the floating appendages could belong to people falling off a ship or killed in a plane crash. In 2016, after a hiker found a foot in a sock and running shoe at Botanical Beach, on Vancouver Island, Ms. McLintock told the Canadian news media that the feet were the work of neither “strange serial killers” amputating victims nor “funny little aliens” scattering the feet along the coastline. Andy Watson, a spokesman for the Coroners Service, said this week that foul play had been ruled out in all the previous cases. Coroners have attributed the disembodied feet to suicide or accident — someone slipping and falling into the sea, for example, or a swimmer being swept into the ocean by a huge wave. Nine of the feet have been identified, two of them from the same person, according to the Coroners Service. Most of the feet were men’s. In at least three cases, the shoes were size 12. Not all the remains belonged to Canadians. In the latest case, Mr. Watson said, investigators would use DNA to try to identify its owner. Despite the official conclusions, the washed-up feet still grip imaginations because of the murkiness of the discoveries and the likelihood that many of the deaths were not witnessed. The phenomenon has spurred several hoaxes in which pranksters have stuffed animals’ feet into shoes to fool officials. One person used chicken bones. Mr. Watson noted that the disarticulated feet had most likely separated naturally in the sea, where the footwear had helped preserve them. Because shoes are buoyant and currents are strong, he said, the remains could have washed in from as far north as Alaska. In 2012, a foot found in a lake in Port Moody, northeast of Vancouver, was linked to a man whose boat had overturned while he was fishing in the area 25 years earlier. In December last year, a Rottweiler discovered a lower left leg and foot with a white ankle sock in a black running shoe on Vancouver’s coast. A few months later, using DNA technology, investigators matched the remains to a 79-year-old Washington State man. Still, even then, questions remained. The man’s family told the police he had vanished months before after leaving home without his medication.